Professor Zavaleta is Master in Business Administration, School of Graduate Business Administration, ESAN, Peru. He has studies in TQM (The Total Quality Management) program for Peru, The Association for Overseas Technical Scholarship (AOTS), Japan. Graduate Studies in Management Logistics, Pontificia Universidad Catolica de Chile. Mechanical Engineer, Universidad Nacional de Ingenieria, Peru. 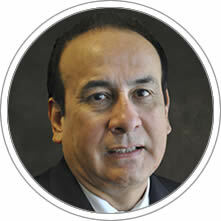 Regarding his professional experience, he has served as Executive Petroleum Engineering area of Peru. Concordia Manager Logistics Group, former bottler in Peru of the franchise Pepsi Cola products. As an international consultant has developed Strategic Sourcing projects in various companies of Peru, Colombia, Puerto Rico, Venezuela and Bolivia. He has advised and trained in their procurement processes to companies in various sectors of the country such as BCP, Interbank, Scotiabank, Antamina, Southern Peru, Yanacocha, Grupo Gloria, Incot, among others. He has written articles for magazines: Desde Adentro (National Society of Mining and Petroleum), Journal of the CCL, SIN Magazine, Journal of the National Fisheries Society, as well as for management and trade journals. He is a speaker at various forums and seminars on efficient methods of purchasing and strategic sourcing. He is currently Director of Approlog, Partner of the consulting firm Prakxon, a consulting company focused on solutions for Supply Chain and Academic Area Professor of Operations, Logistics and Technology at CENTRUM Catolica Graduate Business School.